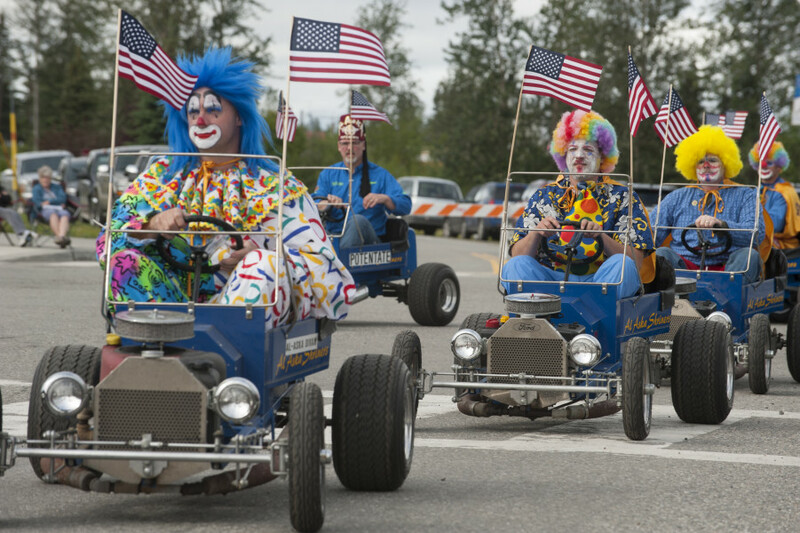 Since 1952 Fairbanks has celebrated its founding with a series of activities around the third weekend in July known as Golden Days. 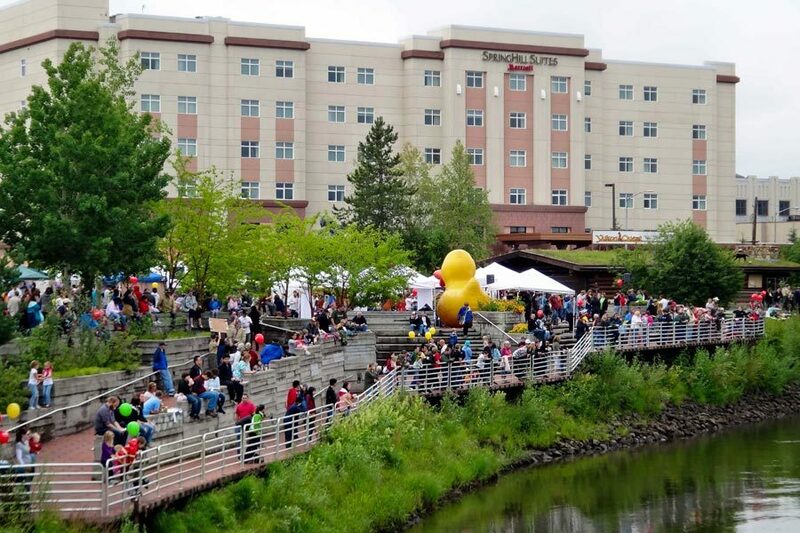 Golden Days boasts exciting events for all ages, including the biggest parade in Alaska, a street fair, and a rubber duckie race along the Chena river among many other fun activities. 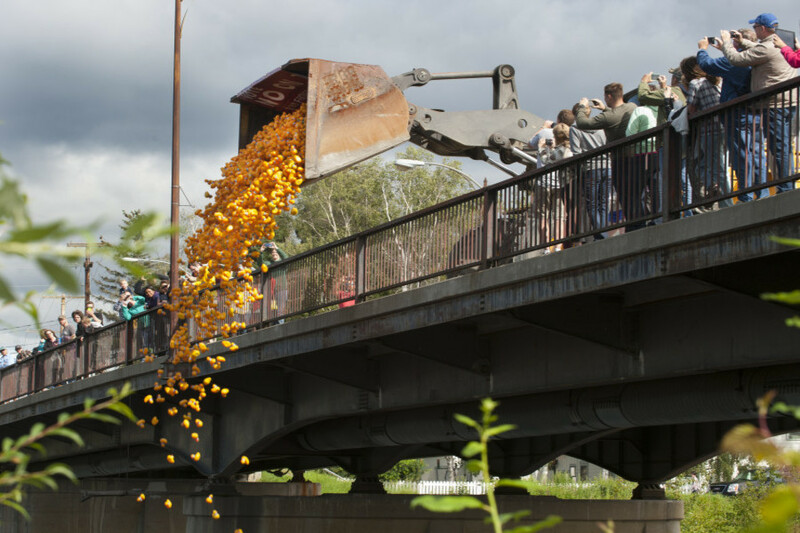 Golden Days 2019 will be held July 13-21, with the Grand Parade, Street Fair, and Rubber Duckie Race on Saturday, July 20. Are you hosting a Golden Days event? 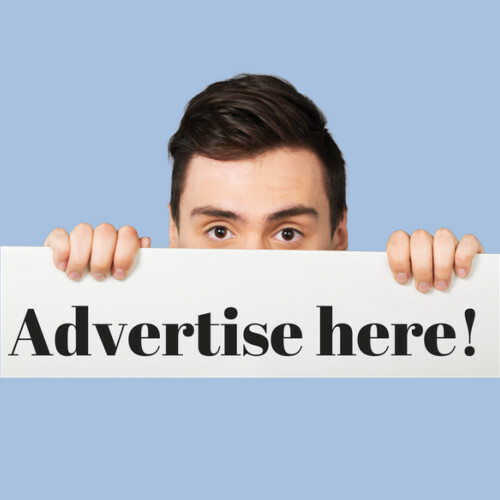 Post it on our website for free! Click HERE to fill out the form. 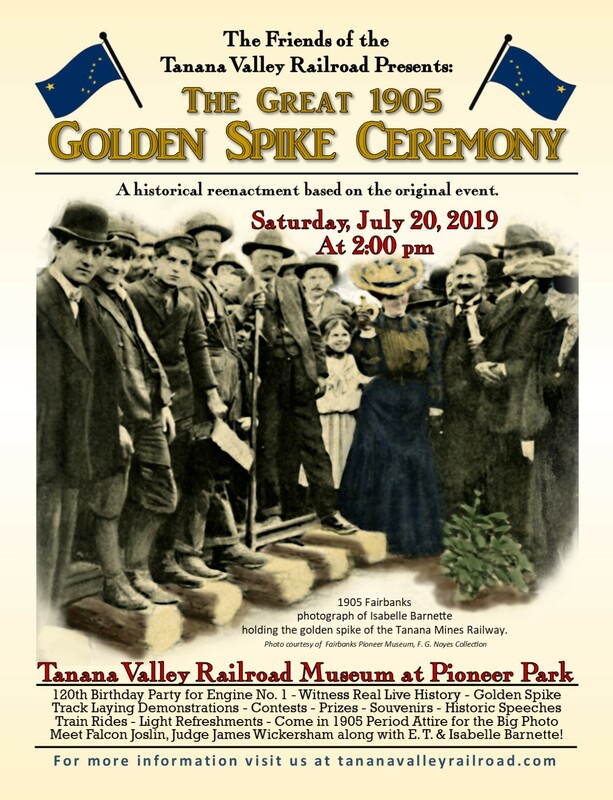 Description: We will be recreating the July 17, 1905 Ceremony that marked the completion of the Tanana Valley Railroad, complete with speeches, live steam operations, train rides, a golden spike ceremony, recreation of historic photos, and cake! The Golden Spike Ceremony is our celebration of the 120th birthday of Engine No. 1 - the oldest locomotive in Alaska and the first in the Yukon of Canada. 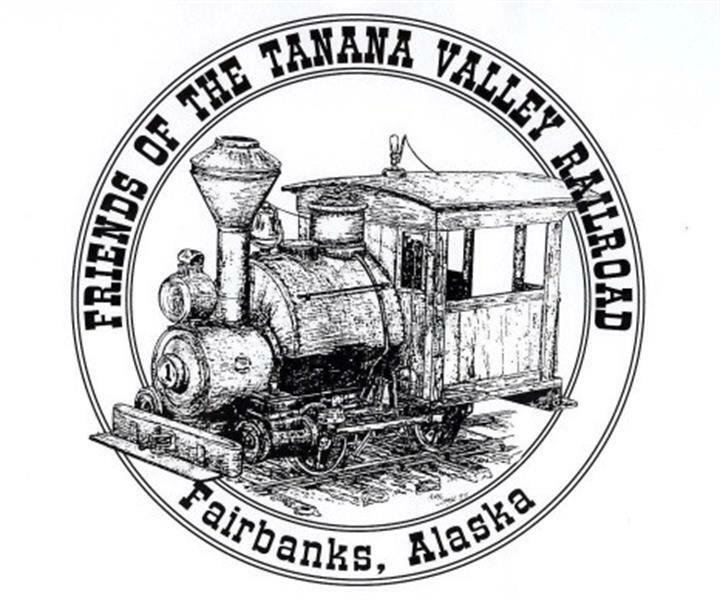 We will be reenacting a ceremony from July 17, 1905 that marked the completion of the Tanana Mines / Tanana Valley Railroad. Complete with speeches from historical figures ET Barnett, Isabelle Barnett, Judge Wickersham, and Falcon Joslin, we have a real gold spike that will be driven, we will reenact historical photos (everyone is encouraged to wear 1890-1910 clothes to be a part of that), and have cake with light refreshments for everyone. Train rides will be given all day - and games will be out for a chance to win prizes. Everyone is invited to participate!